Flying Start is Luton’s pregnancy to five strategy. It aims to improve outcomes for children from pregnancy to their 5th birthday as a foundation to a healthy future. Flying Start interventions build on both national and international evidence. 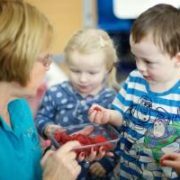 They focus on the very earliest years of a child’s life, starting in pregnancy with the aim of early intervention improving children’s outcomes and future life chances. 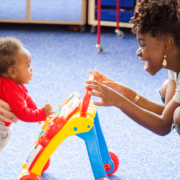 Flying Start aims to ensure that all young children in Luton will have a Flying Start. However it has a particular focus on those babies and children who are born in areas of the town with the highest levels of disadvantage and poorer outcomes. Flying Start will work to ensure these babies are given the very best start in life, reducing the impact of disadvantage on their future life chances. …so that significantly more children, by their 5th birthday, will have age-appropriate communication skills, will interact effectively with adults and children, resulting in better educational outcomes and improved employment opportunities. …so that more children are securely attached and emotionally resilient, with improved school readiness. In the longer term the impact of poor maternal mental health & associated risk factors on children’s outcomes will be reduced. 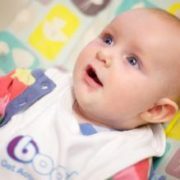 …so that more babies will have improved birth outcomes; with fewer women obese in pregnancy, improved understanding of nutrition and healthy behaviours, breastfeeding will be increased and fewer children are obese or have dental decay, with improved health and wellbeing into adulthood.